Interlift 2009 - In spite of the crisis again a success ! 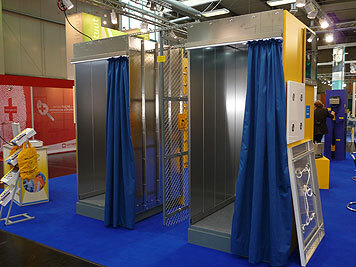 The decision to participate in the world's leading lift technology trade fair in Augsburg this time has turned out to be the right one again. 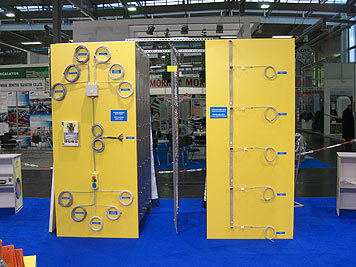 number 1 of the international lift trade fairs. The company W+W Aufzugkomponenten also presented their visitors an interesting booth with many new developments and improved products. The main focus this time was on the LED lightings for cabin ceilings. 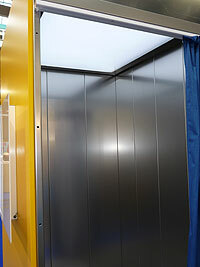 In two original lift cabins the new products “HomogenLED“ and “Complete ceilings“ were presented to the visitors. So the expert public could gain an impression of the new cabin lightings under “real“ conditions. Through the combination of the LED tiles, a clear laminated safety glass pane and a special plexiglass sheet the HomogenLED lighting provides an absolutely homogeneous light, and it also requires a very small mounting depth. Further advantages of the cabin ceilings with HomogenLED are the energy saving of the LED tiles and the short mounting time due to the fully pluggable system. The complete ceilings are available in different sizes and versions, e.g. stainless steel or white aluminium. They are equipped with CabinLED5 lamps, optionally with protective glass. The readily installed cabin ceilings share the advantage of the energy saving CabinLED5 lamps and the easy mounting. 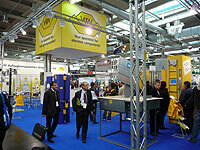 The visitors also showed a great interest in the well-proven 4-part telescopic apron and the pit ladders. 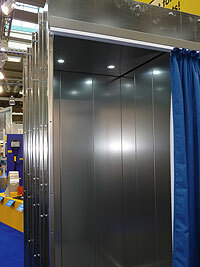 A lot of people examined and asked about SCHACHTSET SHK-3 and SCHACHTSET-SIGNAL for the installation of lifts, which were exhibited for the first time. 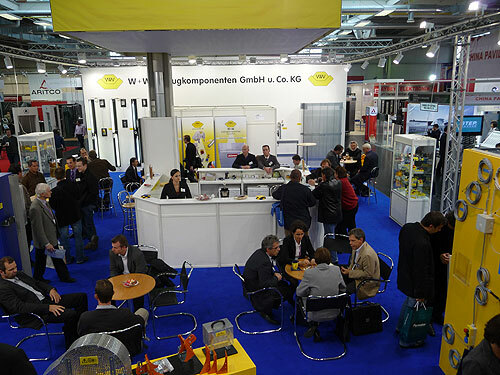 There was a very positive reaction to the W+W lift components catalogue, which was reissued for the fair in German and in English, many copies were distributed. 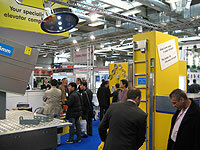 In spite of the economic crisis the level of interest among the visitors and the exhibitors still remained high. The team of W+W once again felt very comfortable in Augsburg and would like to thank all clients, prospective customers and business partners for visiting us at the booth of W+W. 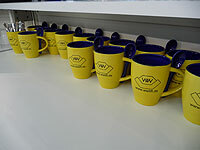 We will look with optimism into the future and we are looking forward to the next Interlift in 2011.